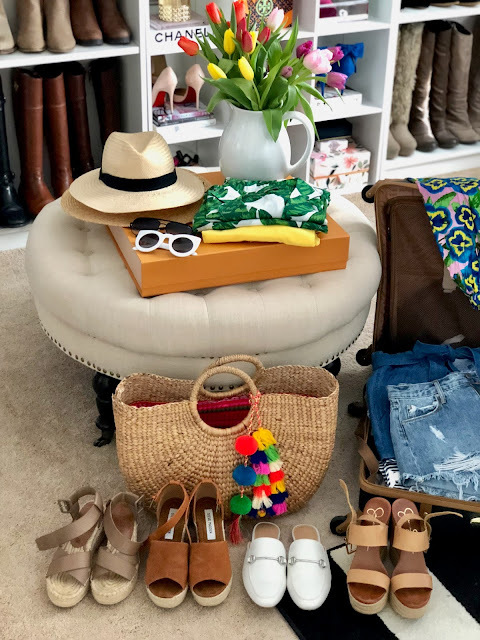 We are off to warmer weather tomorrow, and I'm sharing all my spring favorites/everything I packed. I thought everything was packed and ready to go earlier this week, then I remembered I still had a package coming and needed to fit that stuff in too. 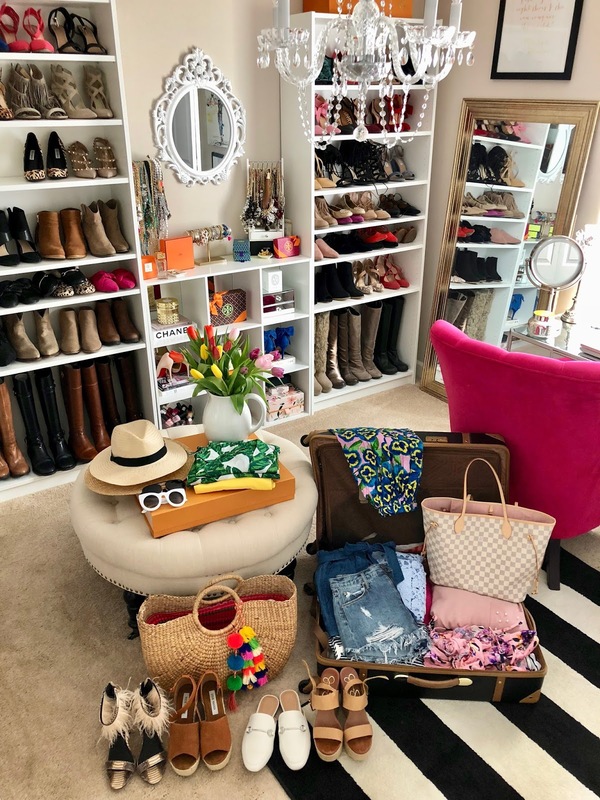 I am a serious over-packer and I can't seem to squeeze everything I (think I might) need no matter how hard I try! It is truly comical to look at my bag versus Zach's whenever we go somewhere. It looks like Zach is going for the weekend and I'm moving somewhere for a month or two. 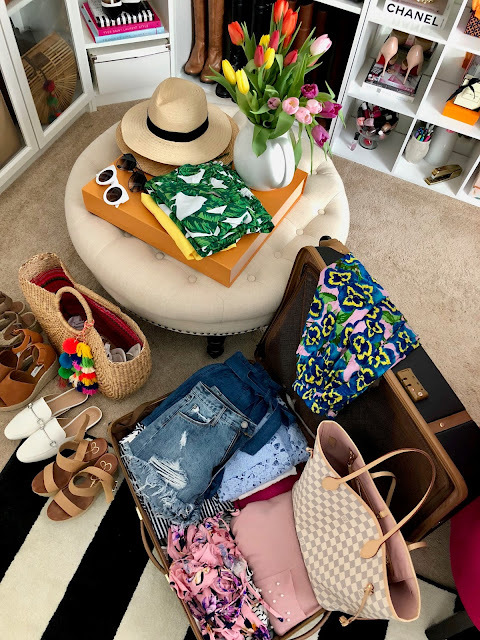 Anyone else a major over-packer? Oh well. Better to be over prepared than to forgot something! Right?! Stay tuned to see how I style everything. 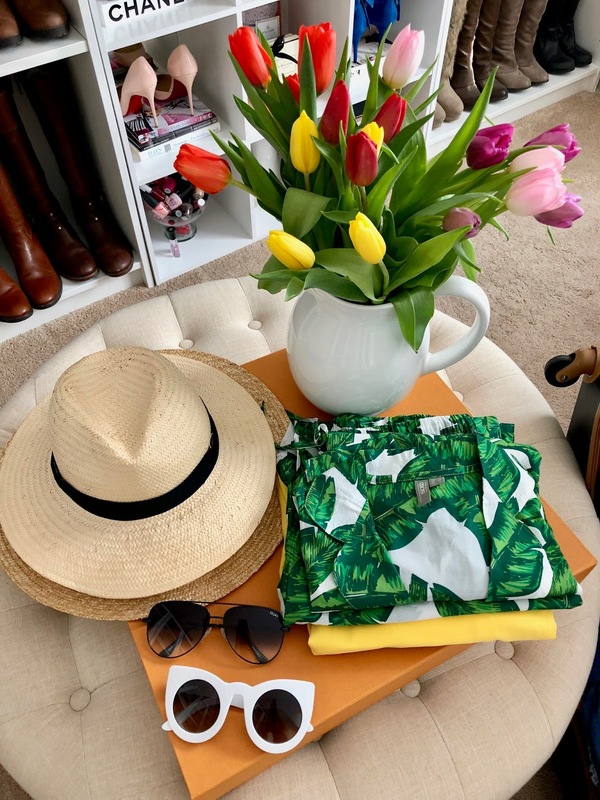 We are hoping for a lot of sunshine and I can't wait to be out of the cold!